A manual transmission, by definition, is a wobbly stick with a lot of choices. Most of the time, you just approach those choices in the order they appear on the wobbly stick, but sometimes you need (or want) to skip around the gears. Here’s how to do it without completely ruining everything. There are certain situations in which playing with the gears out of order can be beneficial or even necessary, like when you’re on a very slippery surface and need to keep the wheels from spinning out from under you. 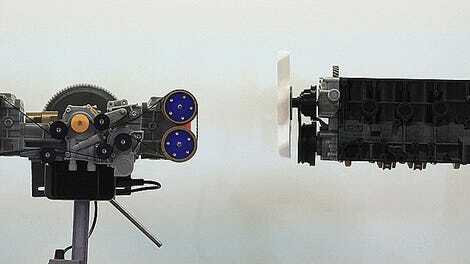 In this situation, it’s common to throw it into a higher gear to avoid the higher torque of lower gears. Something I learned from this was that the current Chevy SS has a really dumb hindrance in place that forces you to shift from first to fourth if you’re not punching it hard enough. I don’t know how I missed that before. 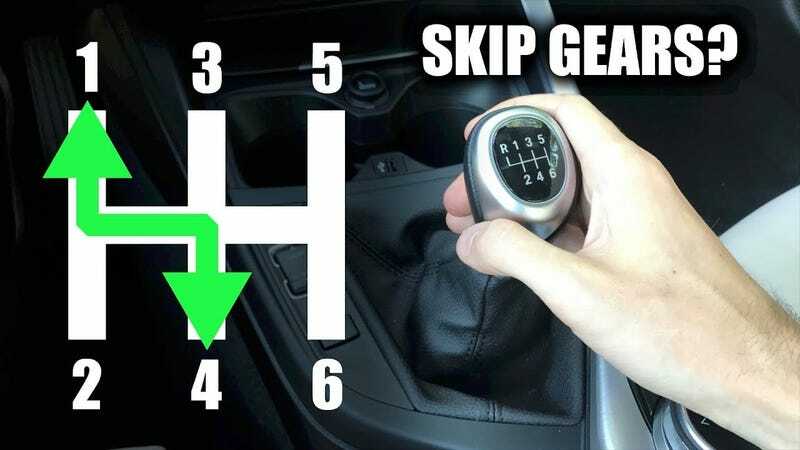 In normal cars, jumping gears isn’t a major issue as long as you rev-match on downshifts and make sure the revs drop low enough before sticking it on upshifts. One of my favorite things to do when I borrow my family’s Mazda 3 is unnecessarily heel-toe brake for every single turn in everyday driving, just because I like the satisfaction of downshifting without any lurch or having the engine yell at me while simultaneously feeling like I’m a prestige driver and better than everyone else. In reality it probably sounds like I’m insane for anyone outside of the car.